The hardship is bringing 'um in after a late afternoon fly. We are headed for some brutal cold in the next few days. BRUTAL BRUTAL it has been past few days. WE are getting heads up warning about the Siberian Cold coming our way from WI... After it crosses the Lake gonna' be COLD !!!! Can you fly from the fishing shack? Monday we are expected to have a high of -12F. My brother in SoCal is expected to have a high of 78F. 90 degree difference. That's friggin' crazy. Beautiful sky, just don't forget your down underwear! 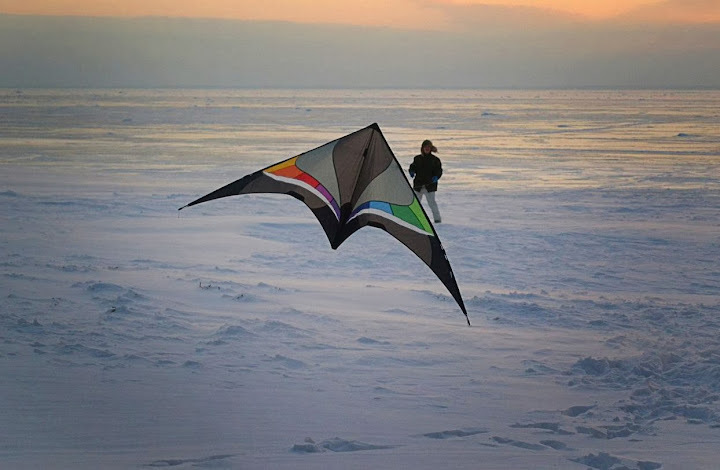 And insulated boots, thinsulate lined pants, wool lumber jack outer pants, layered shirts, down jacket and, oh yeah, kites! 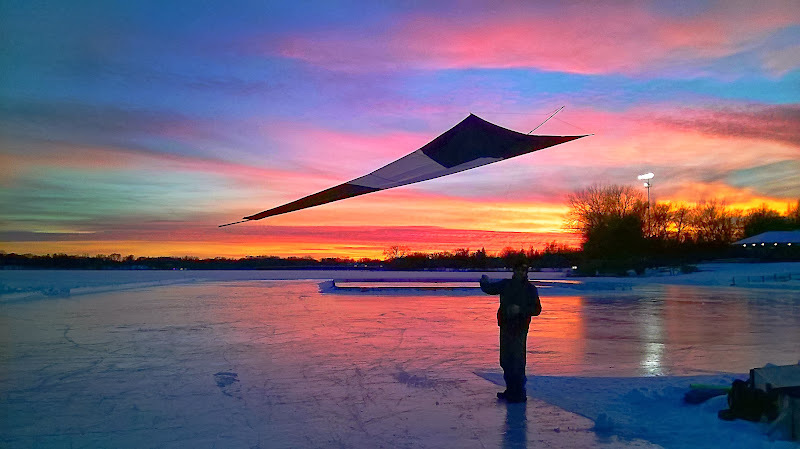 Wow whitebirdlover you are truly unbeatable at spectacular kite and landscape pictures!!! That's very nice picture too da_zubr. There are a few more shots from this outing, I get 'em up.